Auto manufacturer Nissan has collaborated with UK-based design workshop Studio Hardie to transform its e-NV200 van into an all-electric mobile office. 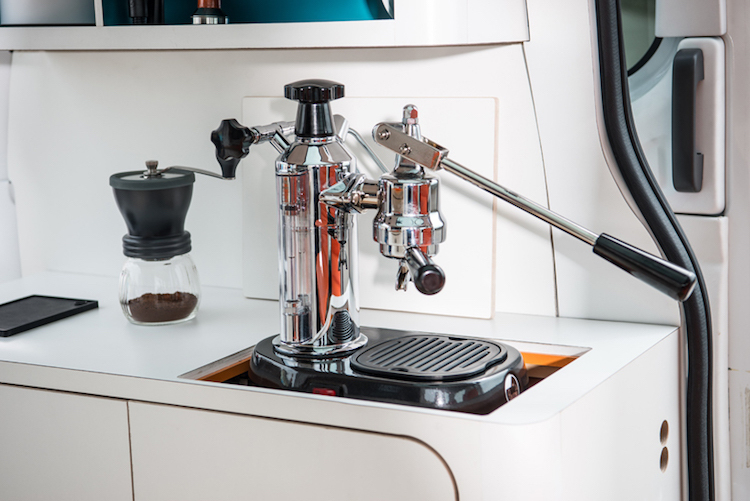 The e-NV200 WORKSPACe features an integrated fold-out desk, touchscreen computer, Wi-Fi, smartphone-controlled LED lights, wireless phone charging, Bluetooth audio system, mini fridge and a barista-quality coffee machine. This vehicle demonstrates what desk-based employment of the future could be like, as hot-desking and flexible working grow in popularity. 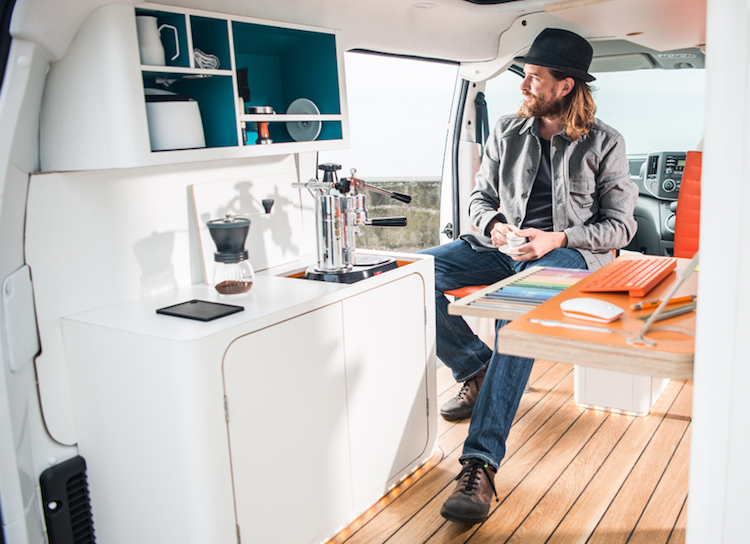 The e-NV200 WORKSPACe offers a cost-effective desk space solution that could enable users to work for free in city centers offering free EV charging bays, or they could escape the city altogether and head for the countryside or the coast. The mobile office can be rapid charged from empty to 80% power in thirty minutes, and there is an internal mount for a folding Brompton Bike if users want to make a short trip around the city or cycle the last part of their journey.